How much thought do you give to the dust and debris you kick aside as you walk down the road, or crunch under your tyres as you drive along? The chances are, not very much, but it’s worth giving it a lot more attention – and not just because of the damage it can do to your shoes or tyres, according to Andrew Wilson, Business Development Manager at CDEnviro in Switzerland. The global waste-to-energy market is expected to exceed a massive revenue of USD 35 billion by 2024. The growth is mainly driven by demand for sustainable energy. Attica Prefecture includes Athens, the Greek capital, and has a total population of 3.8 million people. 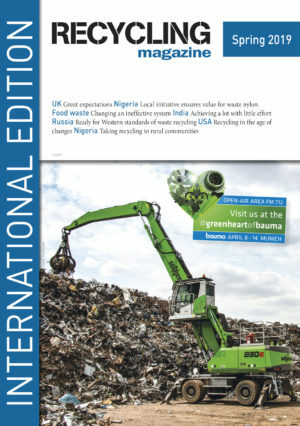 Sustainable waste management systems are therefore very important when it comes to managing the 2.1 million tonnes of municipal waste generated annually. The recovered paper industry in Europe reports brisk demand and high prices for the first quarter 2017. However, exports to China, a key factor in this development, seem to be decreasing in the second quarter and will therefore influence the market. South Africa has already established a successful extended producer responsibility scheme for waste tyres. 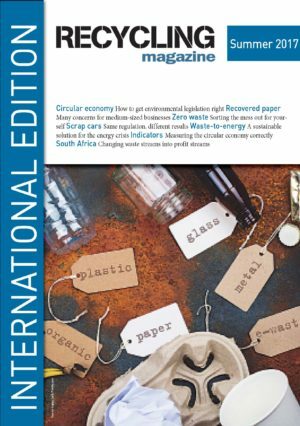 A recent study shows how the adoption of these principles to include all waste streams could be beneficial for the country’s economy. The cost of global food waste and loss is estimated at $940 billion a year. Supply chain expert Prof. Ralf Seifert analyses the three major drivers of spoilage and shares his latest findings about digital solutions that can help solve the food waste problem. Although the European Commission is quite keen on implementing environmental legislation, especially relating to the circular economy, the member states are not always able to keep up. A recent report tries to identify the main obstacles to implementation. Taken over last year by energy corporation Fortum, Finland’s Ekokem Group is a leading supplier on the Scandinavian market, providing a broad range of waste management services. In addition to its activities in Finland, the group is active in Sweden and Denmark via subsidiaries. In the second half of 2016, the Group commissioned a new recycling plant for plastics at its Riihimäki location in Finland. For years, recycling rates have been the holy grail of waste management and recycling. However, there can be little doubt that those rates only reveal part of the truth at most. A new study presents a method to evaluate the environmental impact of recycling. „In the recycling sector, small and medium-sized enterprises have always been the innovative powerhouse of the circular economy and we want to actively continue in this role in a spirit of fairness and cooperation going forward,“ stated Werner Steingaß, Vice President of the bvse and head of its paper recycling division at the 20th International Recovered Paper Conference. Although the EU has the same regulations for all its member states, the results can vary considerably from country to country. This is especially true for end-of-life vehicle recycling. If non-EU countries are included in the picture, the results vary even more greatly. At the IARC in Berlin some countries provided insights into the challenges they face regarding ELV treatment. Sometimes the change to zero waste is quite difficult, especially when a town has not much influence on how waste is collected and treated. A portrait by Zero Waste Europe shows, that the French city of Roubaix had to face these problems, but came up with different ideas to improve the citizen’s way of treating waste. The growing interest in eco-sustainable buildings and circular economies is encouraging the smart recycling of Construction and Demolition Waste (CDW), one of the heaviest and most voluminous waste streams generated in the EU. This type of recycling contributes to waste valorization and environmental impact reduction by avoiding waste landfill and preserving natural raw materials.